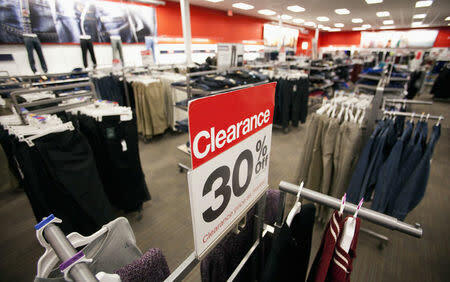 OTTAWA (Reuters) - The value of Canadian retail sales slipped by 0.1 percent in December from November to C$50.35 billion ($38.10 billion), largely due to lower gasoline prices, Statistics Canada said on Friday. Analysts in a Reuters poll had forecast a 0.3 percent drop. Excluding autos and parts, sales fell a more material 0.5 percent, though most of that was due to a 3.6 percent drop in sales at gasoline stations. Sales were down in seven of 11 subsectors, representing 43 percent of retail trade. In volume terms, retail sales increased 0.2 percent from November and were up 0.7 percent for all of 2018. "Stepping back, the bigger picture is that Canadian retail volume has fully stagnated, going almost precisely sideways since last spring," Robert Kavcic, senior economist with BMO Capital Markets, wrote in a note to clients. Motor vehicle and parts dealers reported a 1 percent increase in sales, the fourth gain in five months, while building material and garden equipment and supplies dealers reported their first increase in six months, with sales up 3.1 percent. Electronics and appliance sales were down 4 percent. The overall value of retail sales grew by 1.7 percent from December 2017.